Anna Rowley presented us with a very informative and thought provoking mini - workshop on Leadership. The Associates from Cranbrook were able to join us for the workshop. Good food and fellowship! Our coordinators Sister Nancy Hurren and Pat Weicker were able to be with us as well. 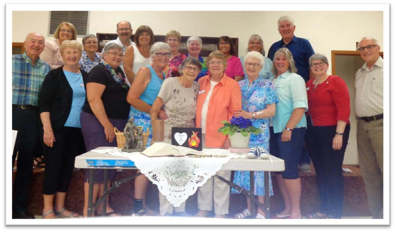 We have had Sister Nancy as coordinator and Associate supporter for a long time! We will now have one of our own, Dolores MacGillivary, as a new coordinator! 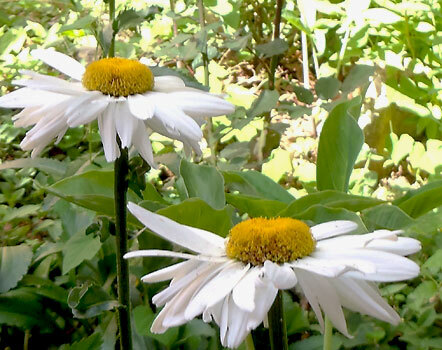 We hope all the Associates and Sisters have a restful Summer. 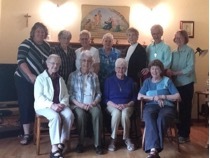 The Sisters of the Congregation of Notre Dame with the local sisters of St. Joseph Convent/Renewal Centre, Mabou, invite you to an Open House on Sunday, August 5th from 1 p.m. – 4 p.m. We look forward to your presence as we gather to give thanks, celebrate, renew friendships, bid farewell and, of course, enjoy a cup of tea. Open mic and local entertainment will be provided. Ciad Mile Failte! Our Conversations of the Heart group has been gathering monthly since February 2012. Our time together includes a check-in, time for contemplative prayer, reflection and dialogue on our designated topic, followed by supper together. Members assume leadership of our gatherings. On Sunday, June 17th, we shifted our place to Montague and our agenda to "feast"! We enjoyed well-cooked lobsters from North Rustico. Even without an agenda, our conversation touched on some current topics – the presence of Buddhist nuns in the Montague area and how we minister to young people in our midst. We enjoyed the warm summertime sky and countryside including the space we had, deck and all. We missed Anne and Noreen and look forward to September's re-grouping.